A diffusion open insulating plaster system such as Diathonite Evolution presents the perfect solution to provide both a levelling plaster and thermal insulation in one while at the same time maintaining optimum levels of breathability and moisture management. The plaster system combines outstanding thermal performance with optimum vapour control and high mechanical strength. 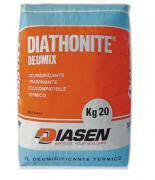 Diathonite is primarily manufactured from a combination of, cork, clay, lime and diatomaceous earth. 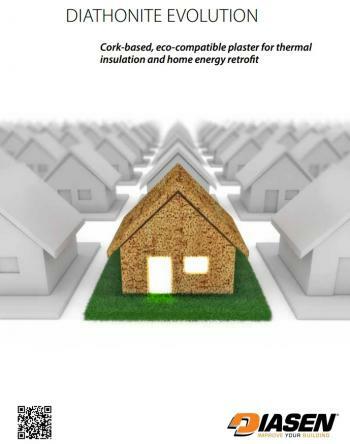 Cork insulation systems and the unique benefits it provides have a rich heritage in use in old buildings dating back thousands of years to Roman times. 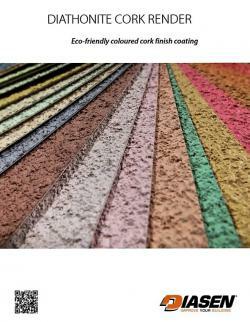 Cork is non-toxic, biologically pure, stable, waterproof, and breathable, with effective insulating properties, electrically neutral, non-deformable, it has good mechanical strength, a low rate of combustion and excellent acoustic performance. NHL 3.5 lime is a natural hydraulic binder used in the system. It features the optimum combination of breathability & capillarity; is an effective thermal insulator and highly resistant to thermal shocks, with excellent adhesion to many substrates. Clay is a natural porous and light material. It features outstanding thermal mass and compression resistance, while at the same time maintaining high levels of breathability and moisture resistance. Diatomaceous earth, which forms the basis of Diathonite Evolution plaster, has been accumulated in deposits in the earth for millennia. It is a naturally occurring mineral, formed through the accumulation of organic material (cuttlefish bones, vegetables etc.) on the ocean floor during pre-historic times. These deposits were left when the oceans receded and are found in various locations throughout the world. Thanks to its high level of porosity (85% of the volume of diatomaceous earth) it can absorb liquids up to one and a half times its weight. This ensures the Diathonite Evolution plaster system features extreme high levels of capillarity.